I’m over at Red Radar again! This week I’m on Red Radar again talking about Better Fashion Week! Here’s a snippet! To read the rest of this article, head over to Red Radar! Another busy week in styleisle HQ! 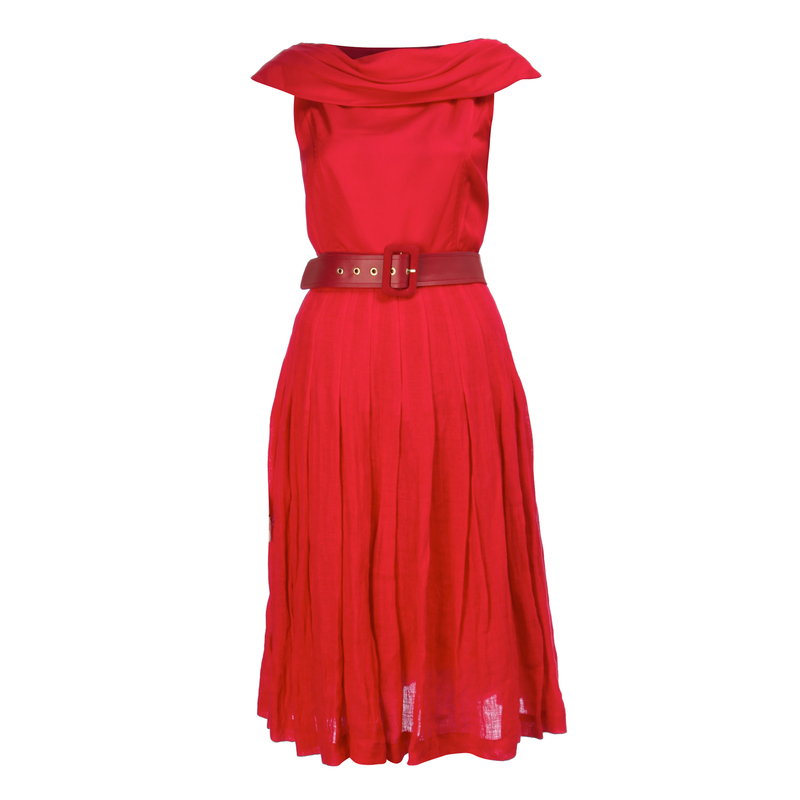 TK Maxx invited me along to another super press evening, styled by the first lady of Irish fashion Angela Scanlon. Hitting the key trends for the Summer, we were treated to some really great looks, insprired by the 70s, florals and colour blocking! Models, Sarah Morrisey, Yomiko Chen and Karen Fitzpatrick showed off some of the pieces from the store including a couple of bargains from the Gold Label collection, available at the Stephen’s Green store. I quickly ran there on Wednesday and treated myself to a fab tank top from Pucci for only €90! Total steal! West Coast Cooler have hit the jackpot again with their new drink, Citra. Hosted in Residence, I got to have a chat with my fellow blogging buddy Laura Whiston! If you haven’t already checked it out, I’m running a great competition where you can win loads of WCC goodies! Closing date is this Sunday 15th so get your entries in! I was honoured to be asked to judge the best dressed at the Awear Henry Street customer evening on Wednesday! Over 1000 customers turned out to the store where the first 200 customers received a jam packed goodie bag and we treated to 20% all stock! The best dressed went to Emma Grehan who looked on trend in white and muted tones! She told me her linen grey pants were from Awear but were too long, so her mum made them into shorts for her that day! There’s dedication! Emma won an Awear voucher, GHD and a special goody bag! The style was endless and a big big thank you to the lovely ladies of Awear, Alison, Wendy and Lia for having me along! Here are some pics from the evening! Next week, I will be at Better Fashion Week in Dublin and will be reporting from the super events for RTE’s Red Radar and heading along to another super event at Elysian Brows hosted by West Coast Cooler! I”ll fit in some sleep somehow! 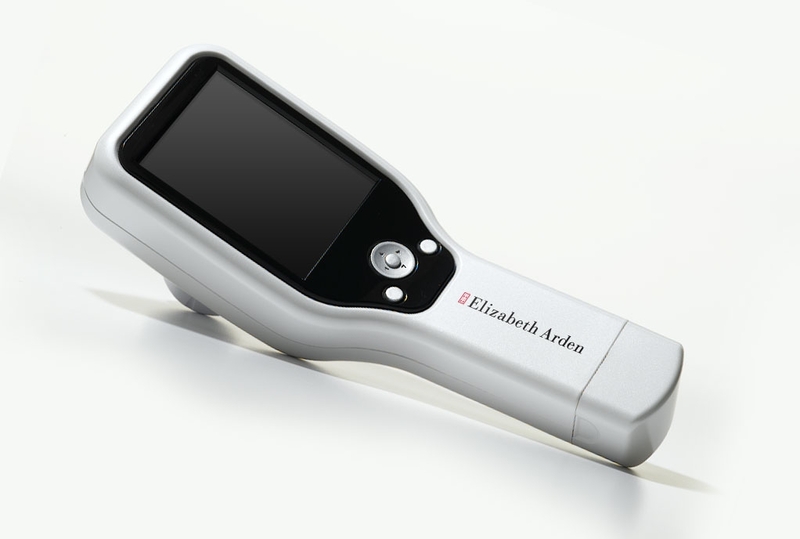 Elizabeth Arden is a brand synonymous with the best in skin care and focusing on what’s right for your skin type. Celebrity make up artist, Joseph Hernandez, is over in Dublin to promote a piece of technology at Elizabeth Arden that will ensure that we are using the right products for our skin type. 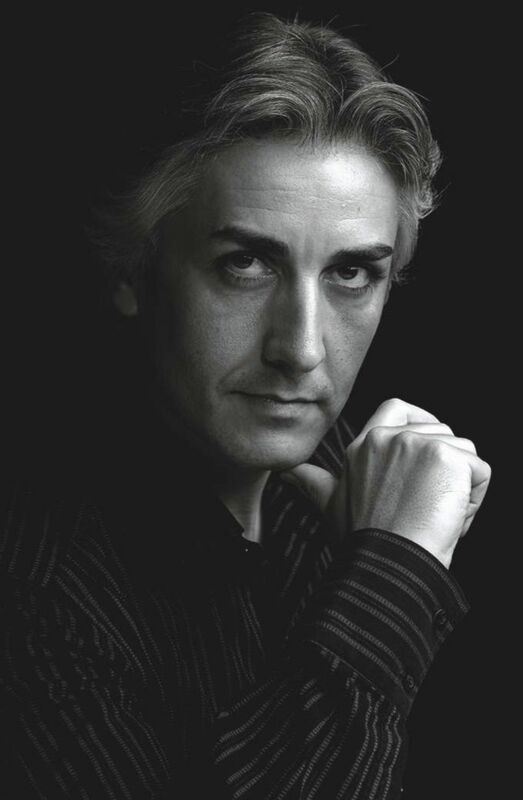 Joseph began working with the brand exclusively 15 years ago, and within that 7 years has developed a freelance career that has seen him work with the best in the business, not to mention working alongside Catherine Zeta Jones, the brand’s ambassador, to develop a look for their stunning campaigns. Joseph is standing firmly behind the brand’s latest invention, the “matchmaker”. “This computer will read skin and tells you exactly where to concentrate your efforts, it will read sun damage, clarity, elasticity and moisture. It takes five minutes!”. Joseph recommends that customers have their skin read so that you your skin type can be confirmed. “If you get your skin sorted out, make up will follow. Skin care is the most important part. It’s good to cover, but better to correct”, Joseph tells me whilst we are perched on high stools at the Elizabeth Arden counter in Arnotts, where customers can see this technology in use until tomorrow, May 6th. Women are terrible for buying products which are most unsuitable for their skin; we are all victims of marketing sometimes that we forget to check the suitability of each product for our skin, the biggest organ in our bodies. Joseph says the biggest misconception women have about their skin is the definition of oily skin. “Oily skin can still be dehydrated and women think by purchasing a rich cream, will be hydrating. Skin care should be simple!”. Joseph is an advocate of a basic ten minute skin regime, including, cleanse and tone, eye care, moisturising both day and night. “Skincare should be tailored for your lifestyle. This is the optimum skin routine and you can alter it to add a serum for example”, Joseph explains. So basically, skin care does not take a lot of effort, it’s just getting it right for you, is the biggest issue. If you want to have your skin read, pop along to Arnotts and meet Joseph for advice from the expert himself. Joseph will be back in Arnotts on June 8th for three days to launch the latest in the Prevage range which is set to change the definition of revolutionary skin care forever! I had the chance to style my first on location shoot on Friday out on Portmarnock beach. Competing against the elements is always hard, and to be honest I’ve become a little set in my ways within the studio environment. I feel safe, creatively. So with model Claire Tully, photographer, Mia McGrail, make up artist, Anne O’Donovan and hair expert, Joyce Clark Henry, we ventured to the to beach to do some great shots for the books! Using amazing pieces from Awear and Warehouse, we came up with some funky looks for Claire and to be honest, when you look as great as her, our job is very easy! Images to follow! The Beauty Spot goes on tour.. If you are Dublin based, you will surely have heard of the weekly events at Dakota, South William St, called The Beauty Spot. Housing a great beauty bar and loads of pop up shops, the event has been attended by up to 700 people per week and now it’s going on tour! 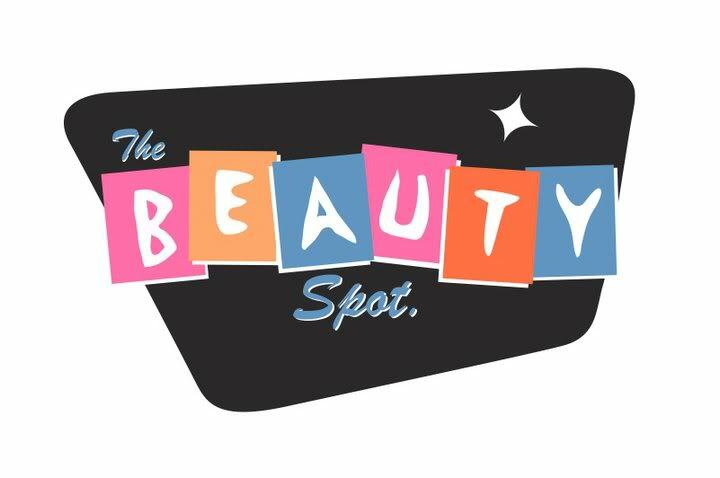 The Beauty Spot will visit 14 locations around Ireland in May and June, kicking off on May 26th in Dublin. So get your girls together and plan a lovely night out with lot’s of fashion and frolics. More details on dates and venues coming next week, so be sure to check back! Model Georgia May Jagger is in town today to lauch the Fashion Targets Breast Cancer campaign in Brown Thomas. 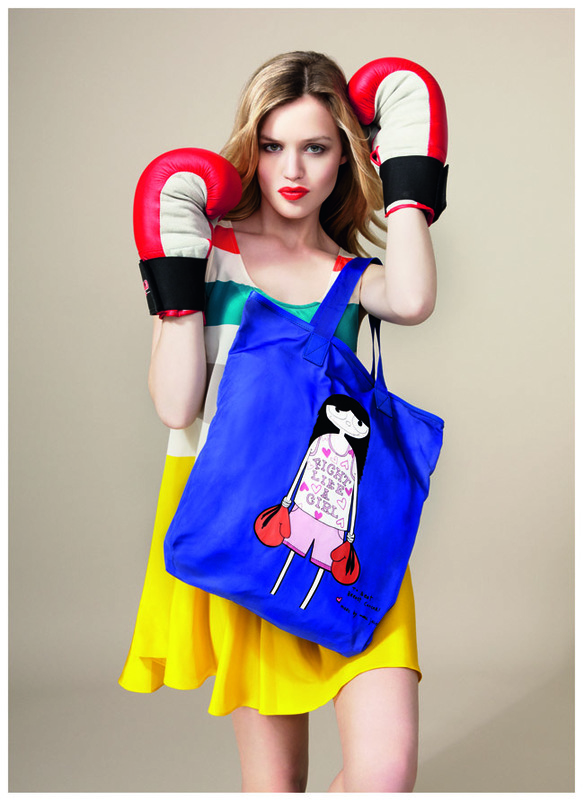 This year’s bag which is on sale in Brown Thomas from tomorrow is designed by Marc by Marc Jacobs and all proceeds from the sale of the bag will go to this very worthy cause. The new Marc by Marc Jacobs boutique also launches tonight in BTs and I will be there to check out all the fashion and hopefully get a minute or two with Georgia! This Saturday I’m styling a shoot for up and coming jewellery designer Nadia Shah. Lot’s of sparkle mixed with high quality silver make this a wardrobe must have and Nadia is definitely one to watch! Lot’s more coming next week!!!! I don’t know about you, but I can’t wait for the Royal Wedding. Yes I even gave it capital letters. All because I think Miss Kate is going to look gorgeous and is clearly the better looking of the two. I’m not for going to town on memorabilia but jewellery aficionado Solange Azagury-Partridge, has designed a special collection to mark the special occasion. 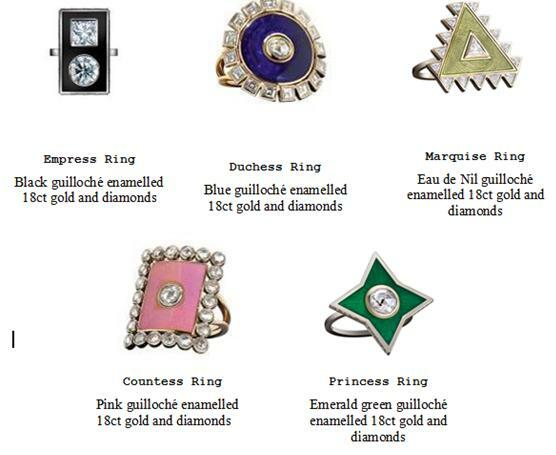 Entitled “Aristocrats”, there will be five rings in the collection: The Empress, Princess, Duchess, Countess and Marquise. Each piece is made of 18ct guilloche, enamelled gold and diamonds. And yes, they are expensive. No matter. You can look all the same!